The newly renovated Harvard Art Museums offers visitors unprecedented access to a vast collection—encouraging students and faculty to engage with works of art in fresh, dynamic ways. 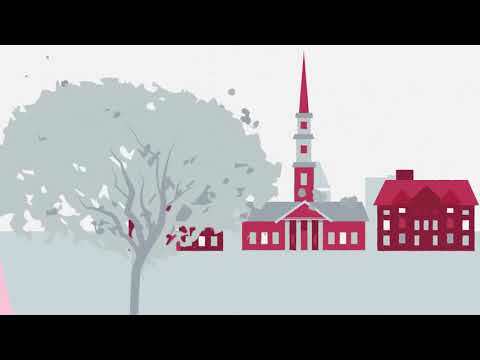 Make a planned gift to foster new paths of inquiry at Harvard. You can make a gift to Harvard through a trust or annuity that will pay you and/or another beneficiary annual income for life. At the death of the last income beneficiary, the remaining principal is transferred to Harvard. Gifts for Harvard’s general charitable purposes are most helpful in giving the University’s leaders the flexibility to apply the funds where needed most. However, it also is possible to designate your gift for a particular purpose. Donor transfers an asset to a life income plan. When the plan terminates, the remainder principal passes to Harvard. A charitable remainder trust (CRT) is a separate tax-exempt account into which you transfer your gift. Harvard Management Company will serve as trustee and thus handle the investment of the trust assets as well as legal and accounting administrative matters. Harvard can pay you a percentage of the trust’s value as income, typically 5%. As the value of the trust changes, so too does your income. Alternatively, the trustee can pay you a fixed payment each year, based on a percentage, typically 5%, of the funding amount of the trust. Charitable remainder trusts can be invested with the Harvard endowment or in a manner geared to pay income taxed at lower rates. Gift minimums are $150,000 for trusts with beneficiaries age 50 and older, and $250,000 for trusts with beneficiaries 45–49 years old. You can donate a wide variety of assets to a unitrust—cash, publicly traded securities, closely held stock, real estate, art, antiques, collections, or intangible assets such as royalties. Please contact us at 800-446-1277 or use our electronic form. Starting January 1, 2004, as a result of a special ruling from the IRS, qualifying trusts were able to invest in trust units with the University that provide each trust unit the exact same performance and distribution rate as the endowment. ¹Past Performance is not any indication of future returns. The returns of the Harvard Endowment have been internally calculated, using consistent valuation methodologies. ³Represents a sample or typical 5% payout remainder trust, as it would have been invested according to our asset allocations over the past ten years. ⁴Represents total annualized return of the sample 5% CRT as if it had been invested according to our allocations in the tax-efficient funds for all 10 years. A charitable gift annuity is a simple contract between you and Harvard that offers a tax-advantaged way to provide for income during retirement. In the future your gift will provide support for Harvard’s mission. You can begin to receive income right away, or at a predetermined future date. You also can decide when the income payments begin within a future time frame, determined when you make your gift. In any case, your income is taxed at a favorable blended rate. Income rates are based on your age or the age(s) of your beneficiary(ies) when quarterly payments begin. For more information on charitable gift annuities please complete the form below. Pooled income funds consist of gifts from multiple donors that are combined into a trust invested by Harvard Management Company. Pooled income funds offer you income and tax benefits and ultimately support the work of the University. A pooled income fund gift entitles you and/or your beneficiary to your proportional share of the quarterly income of the fund for life. On the death of the last income beneficiary, the principal of your gift will be used by Harvard. Harvard Life Return Fund: Seeks to earn a sustained high rate of income over the long term and is invested primarily in fixed-income mutual funds. Harvard Growth Fund: Generates modest income and seeks long-term growth of principal. The fund invests primarily in domestic equity securities. Harvard Balanced Fund: Combines the strategies of the other two funds, and offers a moderate level of current income as well as opportunities for long-term growth of both principal and income. A gift to a pooled income fund can be funded with cash or marketable securities. Each of the funds requires a minimum initial gift of $25,000. The minimum age for beneficiaries is 50 years old for the Life Return Fund, 25 for the Growth Fund, and 40 for the Balanced Fund. Please contact us at 800-446-1277 or use our (update) electronic form. Explore the benefits of a variety of gift options with our planned giving calculator.